An APC UPS provides backup power power and surge protection to power and protect your PC or Mac, network router, gaming consoles like Xbox and PS4, AV and other business electronics from the dangers of power surges, spikes, lightning and power outages. By powering your critical electronics with a backup battery during blackouts, you ensure personal and professional connectivity when it matters most. Improvements in efficiency, size and surge protection come at an affordable price, making the Back-UPS Pro mini-tower battery backup UPS models a perfect solution for your power protection needs. Right now the Back-UPS Pro from APC averages 4.7 out of 5 stars on Amazon, where its typical list price of $170 is discounted 30% to $119. See this deal now on Amazon. 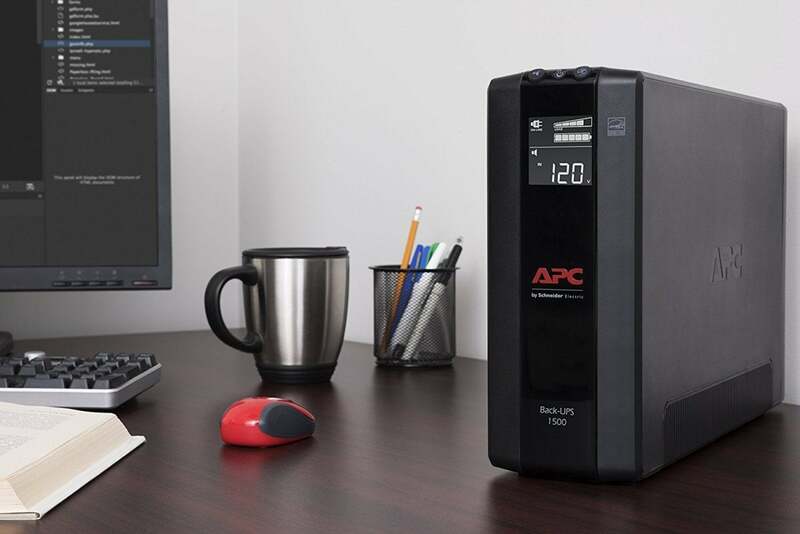 This story, "30% off APC 1500VA Compact UPS Battery Backup & Surge Protector" was originally published by TechConnect.